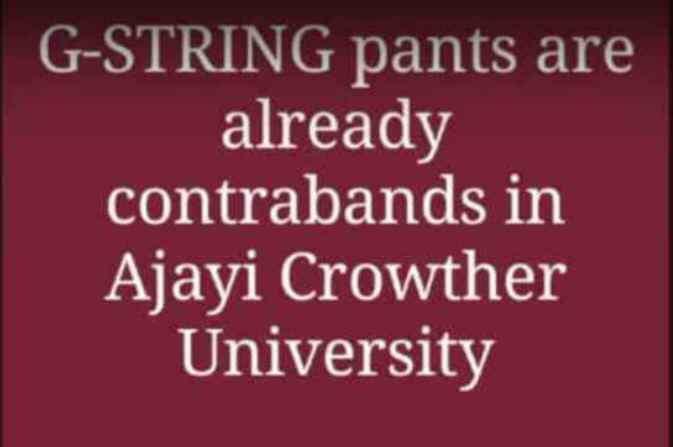 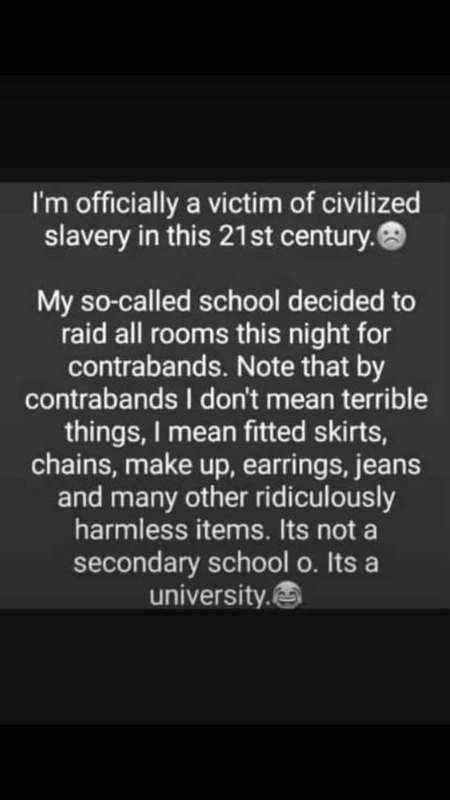 At the very beginning of this semester in ajayi crowther university a ban have been laid on wearing of jean, short skirt, attachment hair andothers. 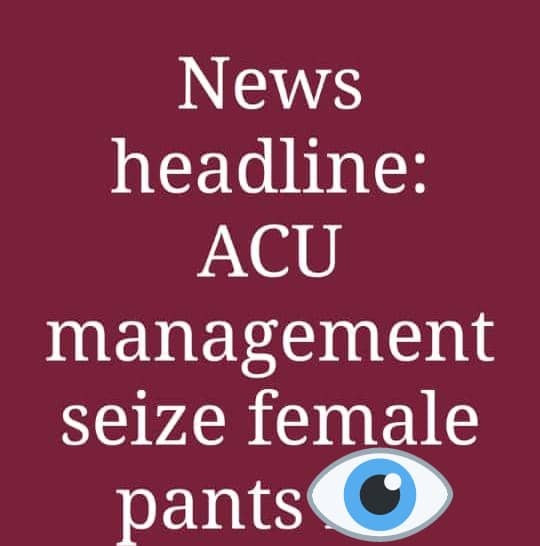 Students were searched at the gate dumping all their stuff in the dust bin. 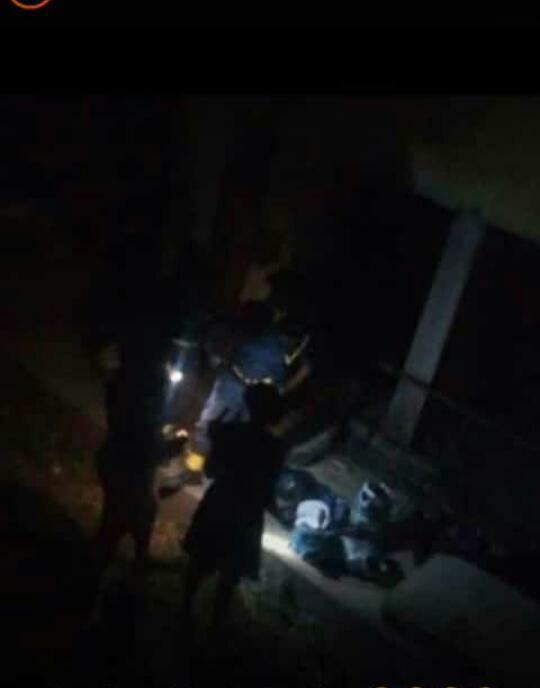 Not too long after the gate issues, yesterday the security men bursted into the complex they sell things seizing clothes nails and others not until they thought it has ended. 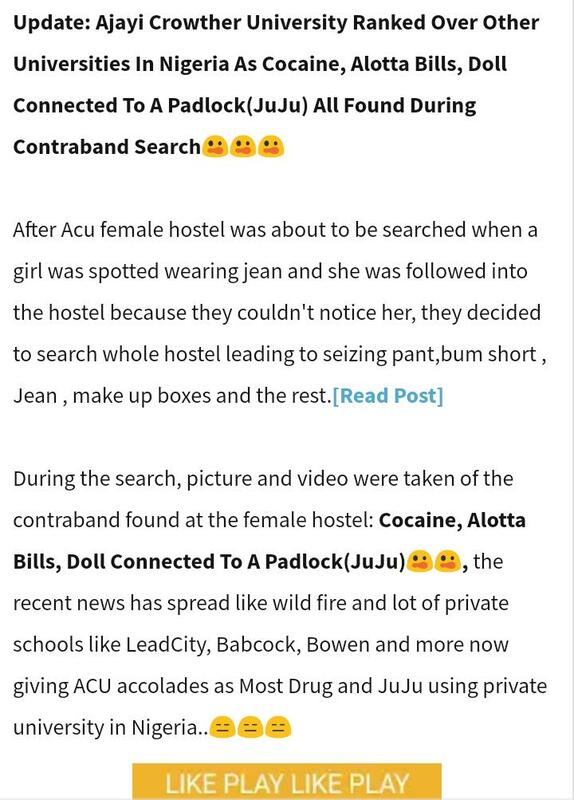 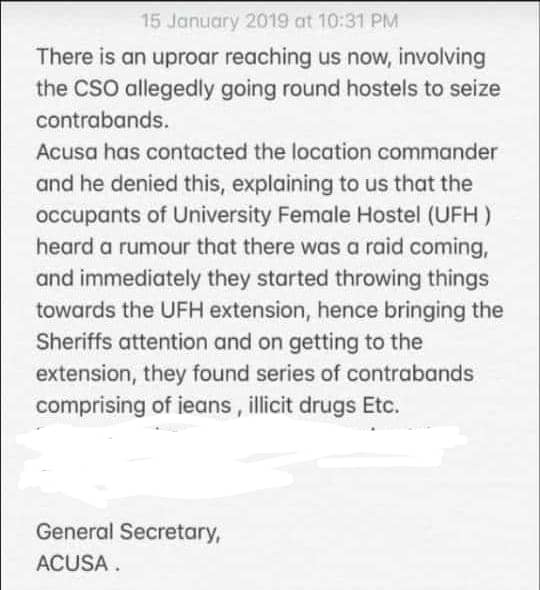 Tonight a girl was spotted wearing jean nd she was followed into the hostel, Because it was dark they lost her then they decided to search whole hostel which led to seizure of pants, bum short ,jean , make up boxes and the rest.